Facebook has made changes and has evolved in a way that nobody has imagined before; this has gone from being a Social Network to a whole platform of digital advertising and marketing. Facebook has been selling shares on NASDAQ because things have changed in an incredible way unlike how it was doing before that time, part of this growth and change is due to investor pressure to see new things, including future projects to achieve permanence in the preferences of the public, and not repeat the history of other social networks. After switching to a stock exchange, the changes in its interface are more frequent, it has made several important changes in its pages, it has made important changes in its algorithm, its internal operations have changed completely and lately they have been making improvements in its platform of publicity, its most recent announcement on this subject is known “Audience Network”. What Is Facebook Audience Network Is All About? How Is Facebook Audience Network Useful for You? How Audience Network Gives Revenue Earning Options? Facebook Audience Network is an advertising platform, it may not be the best, but if we observe in detail we can see that it is much more than that. Although several critics have announced that Facebook is coming late to this industry, at the head of other powerful players like iAD, Mopub, InMobi, and AdMob which have at least two years in this market and they divide much of this; Facebook has an ace up its sleeve and can be what enhances it all: its level of segmentation. It should be noted that Facebook had already tried to enter the mobile advertising market since 2012, but did not have much success back then by the way of presenting the ads; Today, after having lived that experience relaunched their mobile platform based on three types of standard ad: Banner, Interstitial and Native, based on IAB formats. This tool is very useful and Facebook has got people to get money through Audience Network Monetization. It is about getting money by viewing the ads and offering to post on the personal profile of each Facebook user. Developers can also take advantage of this and have the ability to choose between three advertising formats and through a Software Development Kit can insert the ads in the sections they want within their Apps. Each time a user opens an application that is part of the Audience Network; it is linked to your Facebook profile through a unique identifier anchored to the device, such that advertising will be directed to the person using the phone. In order not to overwhelm users, the Audience Network has a restriction with which only one ad can be displayed per screen, which will improve the experience of using the application. If for the developers is a great option, for the advertisers is much better as it allows to use the same tools of segmentation Facebook, but now also on mobile devices. Audience Network ads have the versatility to be displayed in different traditional locations (photos and other publications) and video, for example, video instream, interstitial and native. The formatting is not important since various types of them are supported, and it is not necessary to upload new content assets either. Ads on Audience Network are automatically rendered according to the type of place with the same content assets used on Facebook. Audience Network can roll out to boost brand results and display video ads on different devices, including cell phones and computers. With in-stream videos, ads appear in placements before and during the video. As people normally view videos for a longer period of time, then the ads are followed by the content reproduced, you can also transmit more complex marketing messages that require more attention. If a target is reached, use Audience Network to show mobile ads in native and interstitial locations to connect with the most people in the target audience. If you’re interested in installations or conversions, with Audience Network you can improve the results of your direct response campaigns and reach your audience through banners and native and interstitial locations in mobile apps and websites. For many people, the name Audience Network can be confusing, since Facebook also has another tool known as Custom Audience, which serves to personalize personalized publications, and can be used to send ads to apps that have Audience Network. Both are part of Facebook but have different functions. When Audience Network was presented, Facebook was concerned with the care that the personal data of each user has since to achieve the segmentation several of them are necessary, they will not be shared with the developers or the advertisers in any way so that users can feel calm. 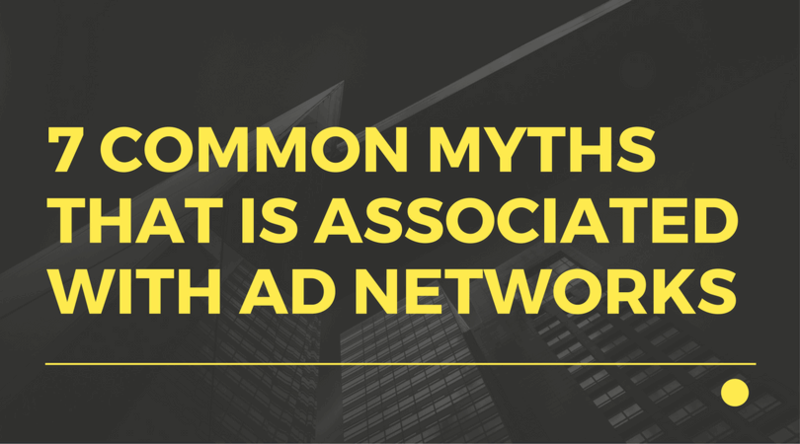 In exchange for inserting your ads, Audience Network gives developers and other users who make use of it a share of the revenue for each click or conversion generated by the ads shown through their App, similar to what Google AdSense does, it means the user will receive a higher percentage than that of Facebook. There is no doubt that Facebook knows how to convince developers and advertisers, since conversions based on hyper-personalized ads generate a higher CTR, and also for advertisers this means a lower CPC, generating more benefits for all parties. With Audience Network, Facebook should no longer worry as much about the time that users spend on their application, as this increase the benefits and would not have to spend more ads or new formats on their own platform. Thousands of people are betting on the huge benefits of Facebook and many of them say they could easily double within a year, even showing fewer ads on their platforms. Facebook Audience Network allows monetizing websites and mobile applications (Android, iOS), in this sense, this alternative of AdSense is only for mobile traffic, not only an alternative but also a compliment very similar to AdSense, could even work together. With Facebook Audience Network, publishers and developers can grow their business through positive user experiences that drive interaction and value enhancement for advertisers. Check out the latest Audience Network news and more on our Facebook page.